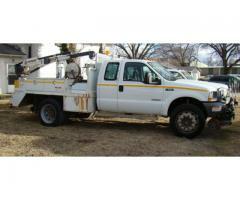 2005 Ford F-550 Hy Rail Truck with side crane, hose reals. HR 1500 B2 gear. Power Stroke V-8 motor, 121,913 miles. 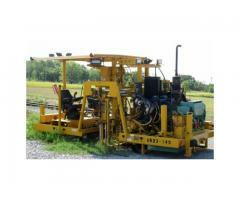 2003 Kershaw 35-14 tie plate broom, for Sale or Lease. 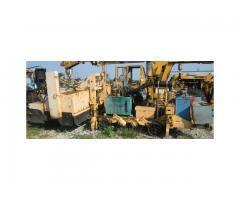 2003 Kershaw 35-13 plate broom. 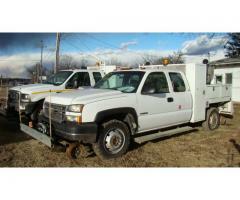 Available as is or put through our shop for rebuild. Nordberg double side tie drill. Rebuilt in our shop and available now for Sale or Lease. 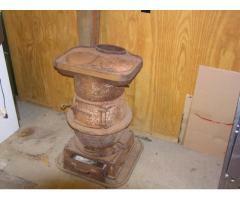 This is a wide top cooking stove (as opposed to just a heating stove) that came from Frisco (SLSF) Caboose #937 (I have the bill of sale for the caboose). Complete and in good condition. Weighs approximately 400 lbs. Pickup only, cannot be shipped.